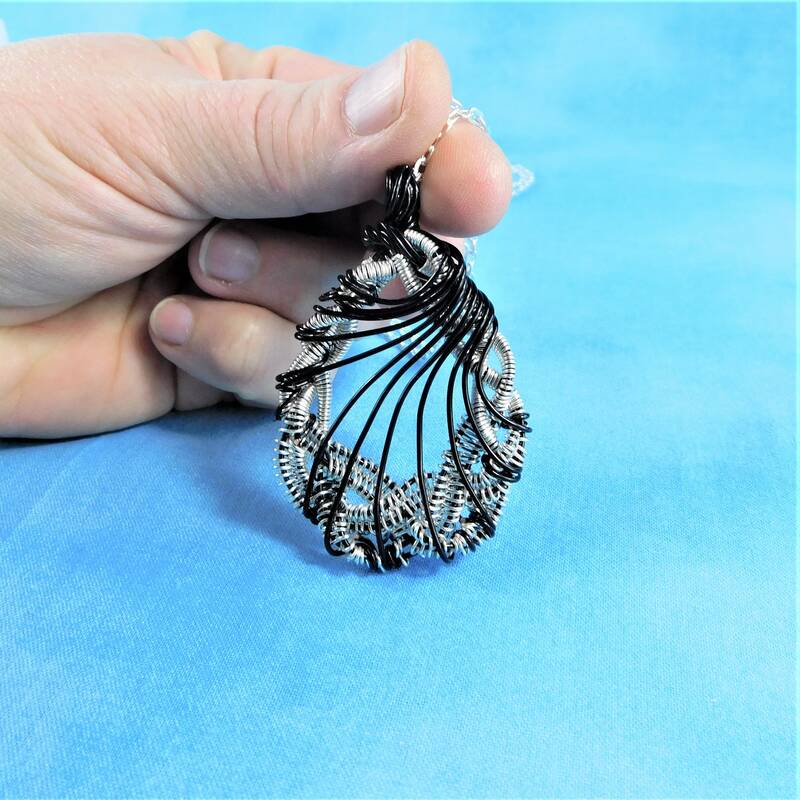 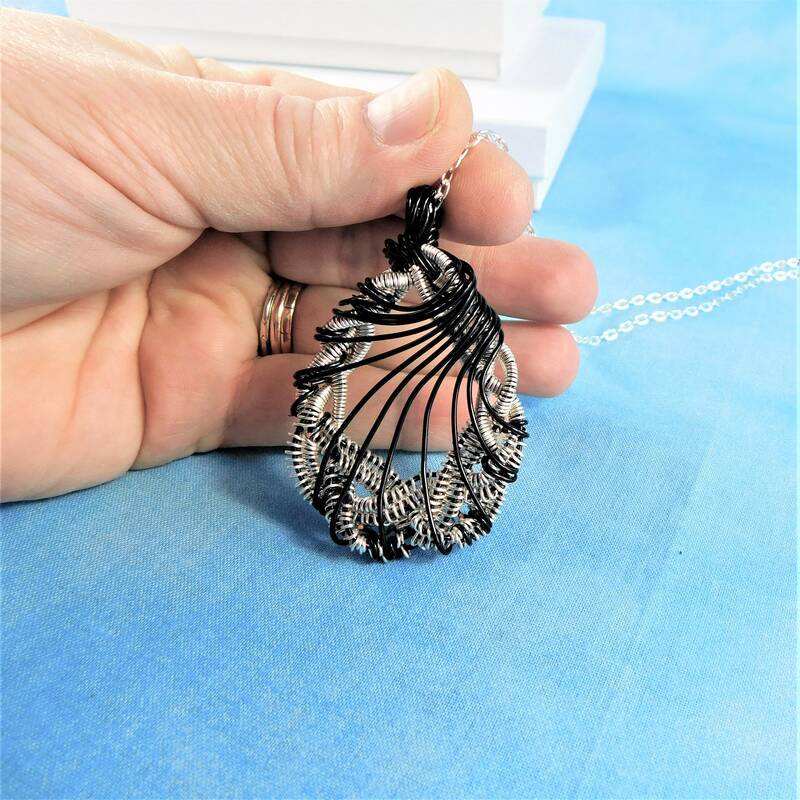 Hand woven non tarnish fine silver over copper wire, and black colored copper wire are braided and shaped into a substantial wreath pendant. 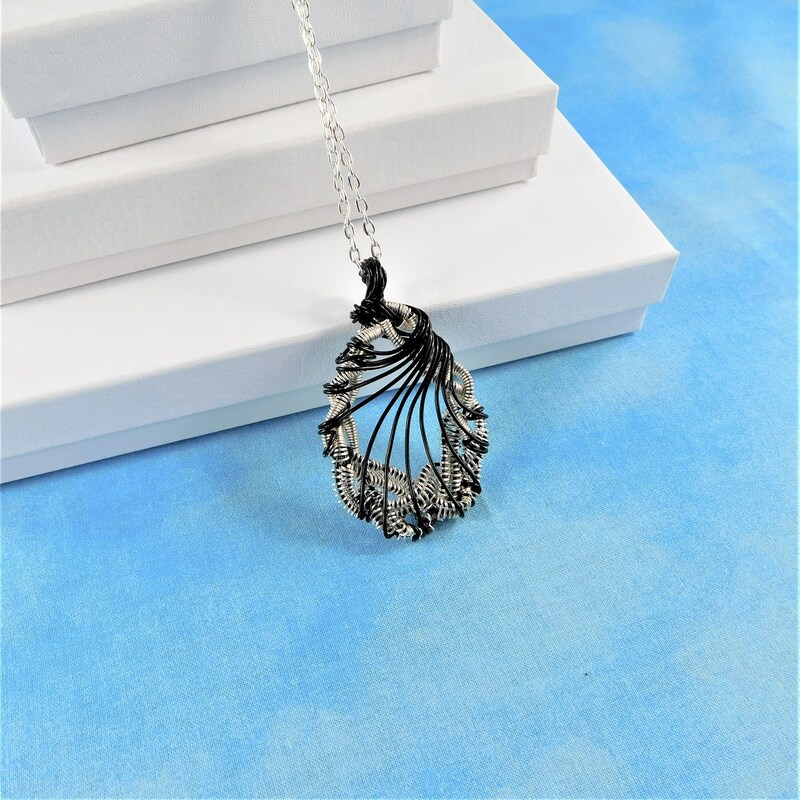 This pendant is designed so that front and back are equally attractive and can be displayed from either side. 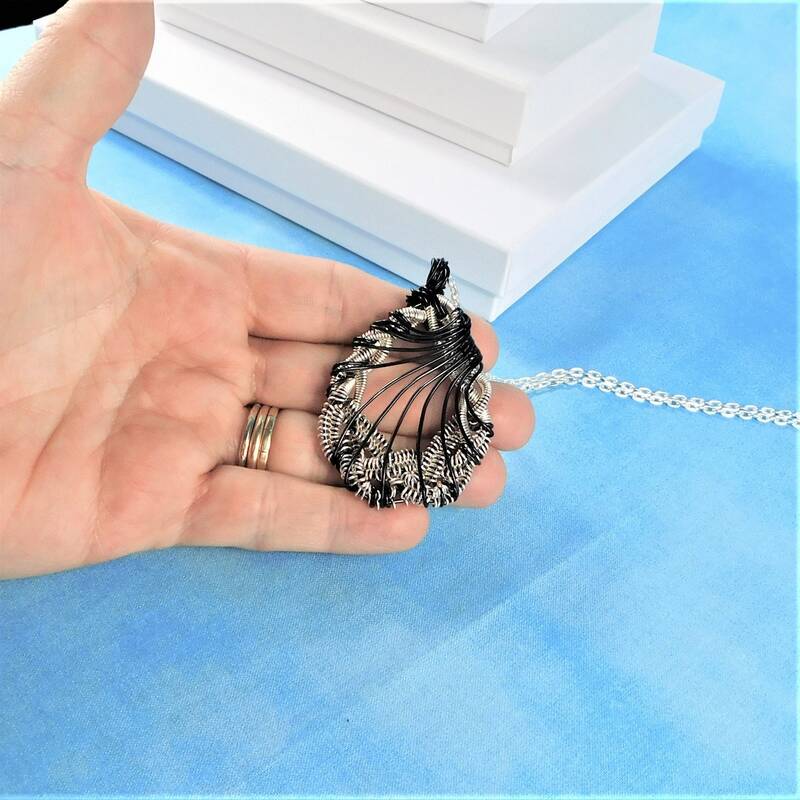 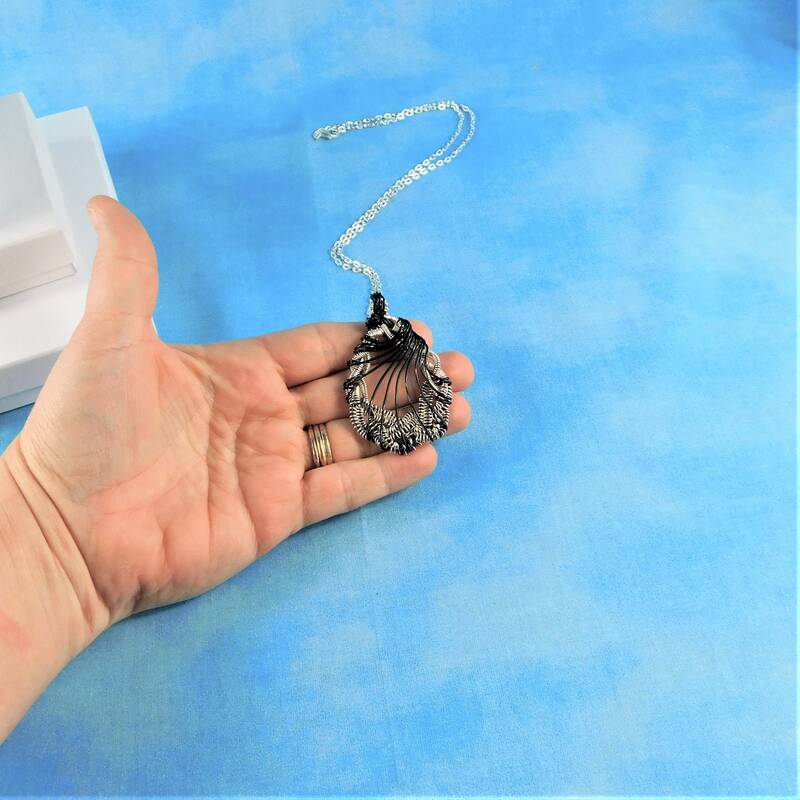 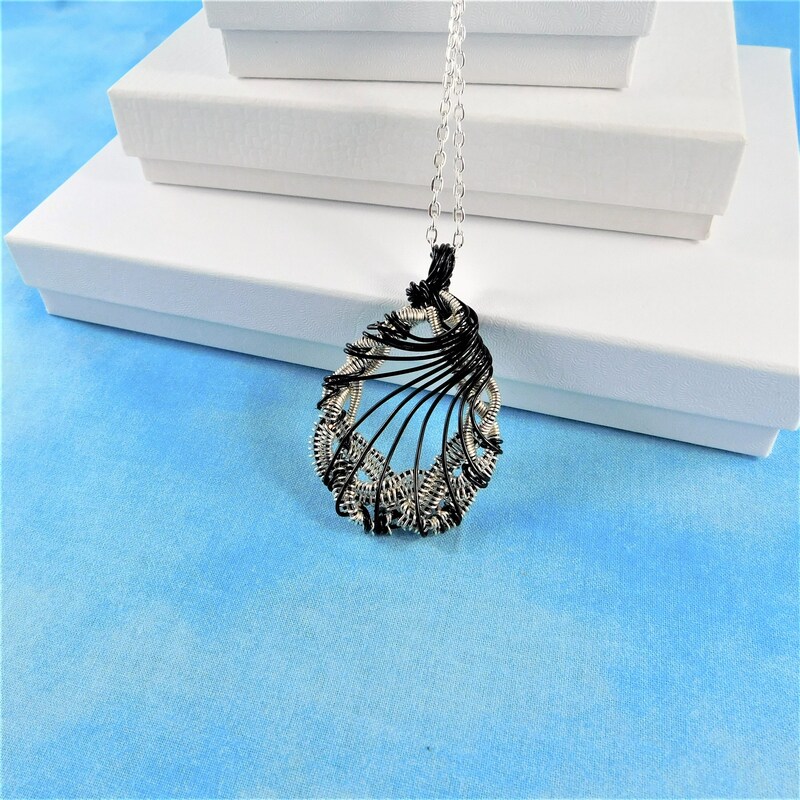 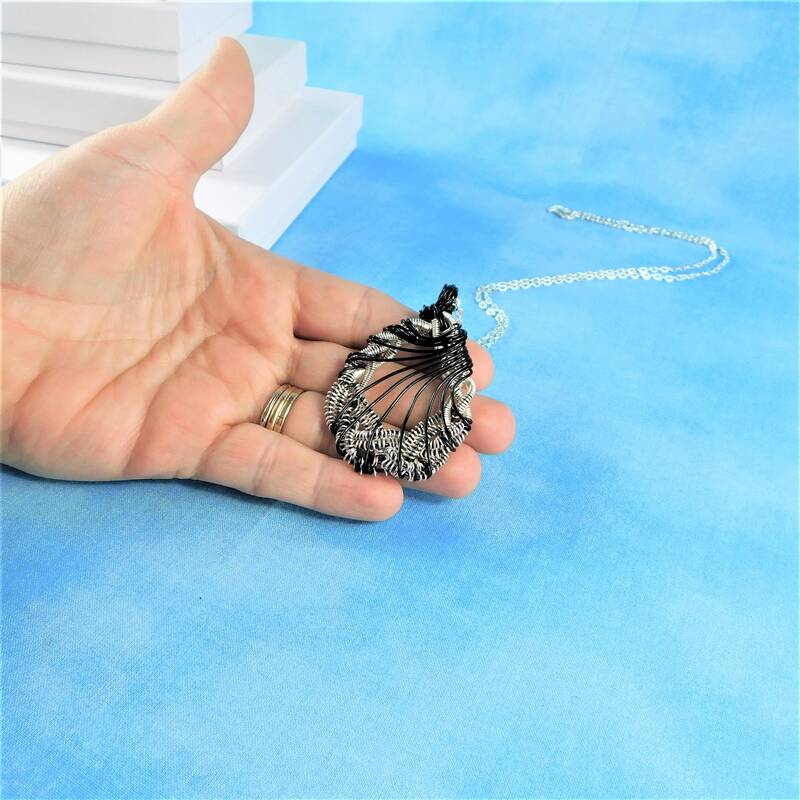 The pendant measures 2 inches by 1 1/ 2 inches and comes with a FREE coordinating chain with lobster claw clasp, measured to your preferred length. 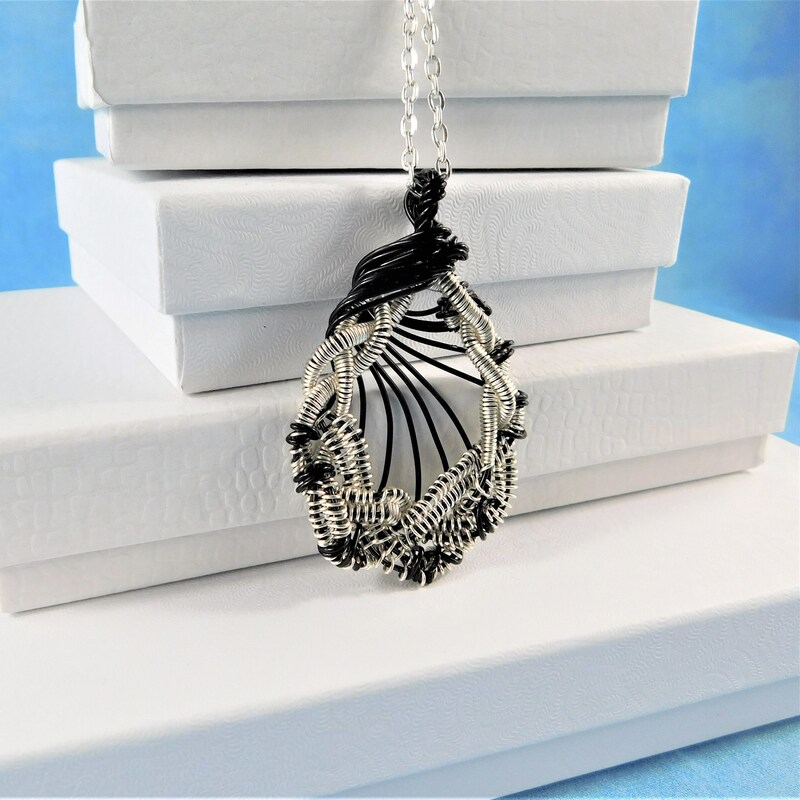 Your one of a kind necklace is ready to ship via USPS to your US location at no extra cost. 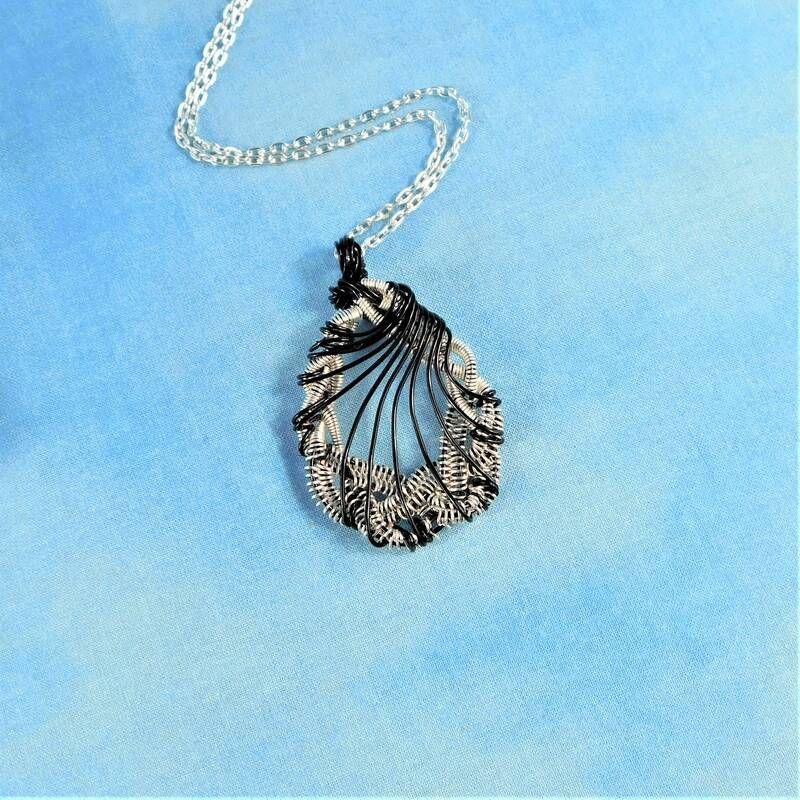 (International shipping available. 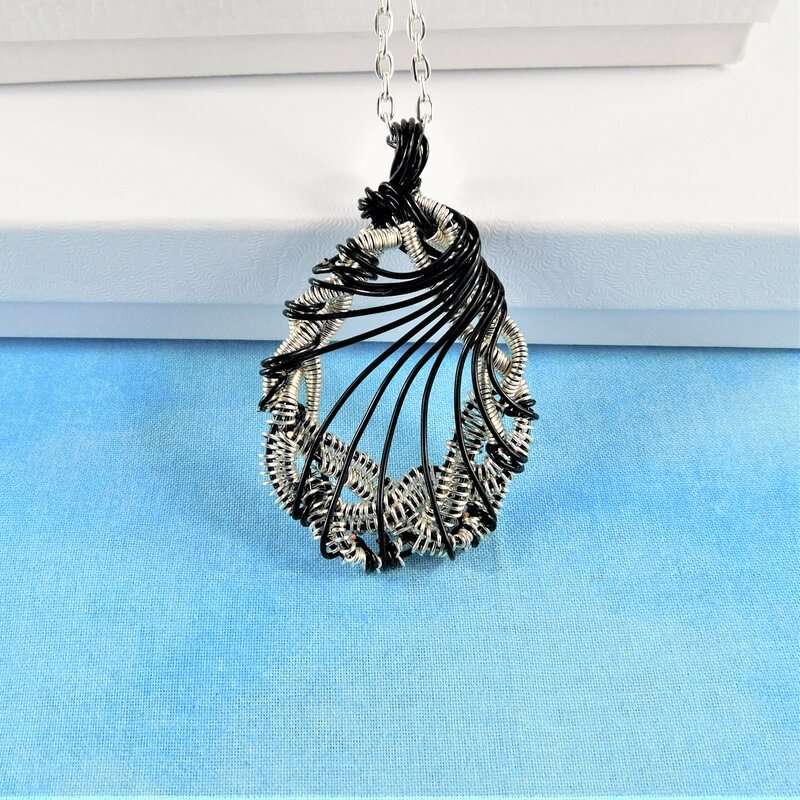 Please be aware of your local laws related to customs and VAT.